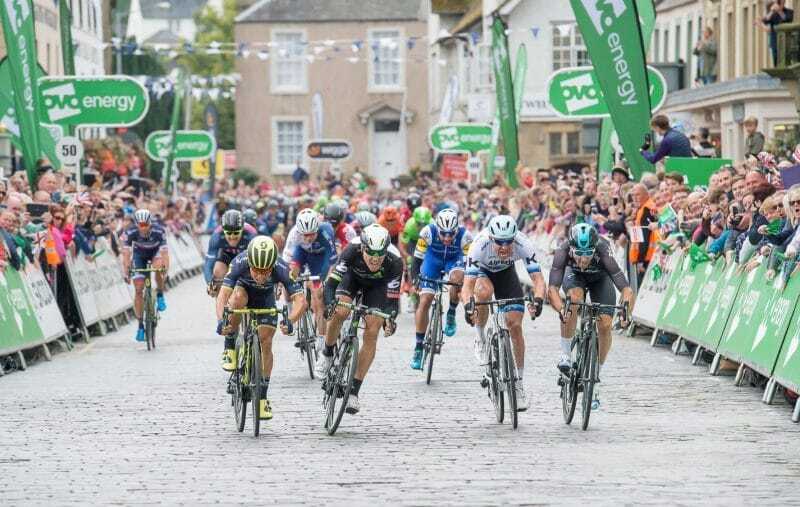 The race heads to Cumbria and the Lake District for two stages on Thursday 6 and Friday 7 September, the first of which will be a unique uphill team time trial, the first-ever in OVO Energy Tour of Britain history. Teams will depart from Cockermouth, which previously hosted a start in 2015, before tackling Whinlatter from what is considered to be its easier western side. The 14-kilometre test gains over 300 metres in altitude, with the final five kilometres of the stage against the clock averaging 4%. The rider who goes on to claim the final OVO Energy Green Jersey will need his team to ride well in this crucial test. Stage Five of this year’s OVO Energy Tour of Britain starts in the gem town of Cockermouth. The town has a rich history as the birthplace of William Wordsworth and his sister Dorothy. With its butchers, bakers and bookshops, Cockermouth is a great little town to visit, relax and spend some time. It’s also the perfect base to explore the fells round Crummock, Buttermere and Loweswater, which are not far away. For the cycling buff, Allerdale has it all. It is home of the start of the Coast to Coast and Hadrian’s Cycleway. A budding SKODA King of the Mountains? Then head over the mighty Honister, or Newlands, pass – or the aptly named Fangs Brow near Loweswater which appears in this year’s Tour. To get the miles in, the rolling Solway coast is perfect cycling country too and don’t forget the smooth family friendly, off-road cycle path up the coast from Maryport to Allonby. We’re also a mountain biker’s paradise with lots of off-road paths and the fantastic Whinlatter Forest Park which hosts two stage finishes for this year’s Tour. With our Lakeland pubs, distinctive hotels and friendly B&Bs, Allerdale is the perfect place to be based and enjoy the Tour. The route for the OVO Energy Tour of Britain’s first team time trial will bring riders up Lorton Vale to arrive at the Whinlatter Visitor Centre after climbing from the western side of Whinlatter Pass. This ascent averages 4% over the main climb of five kilometres, with sections of over 10%. Although this approach is less steep than that of the eastern side (tackled twice during Stage Six), the riders will traverse under the shadow of Whinlatter Fell and Hobcarton End. Whinlatter is one of the Forestry Commission’s first acquisitions, with large scale planting starting in 1920. From this grew the forest of today, which is now managed for timber, wildlife and people, and provides a link between the villages of Lorton and Braithwaite. The Visitor Centre at the top of Whinlatter Pass is open all year round, and offers the starting point for a wide range of facilities for many different users, ranging from walking and cycling, to wildlife watching, playing and learning. This award winning attraction also boasts a café on site, and is one of the top destinations in the Lake District with over 220,000 visitors each year.